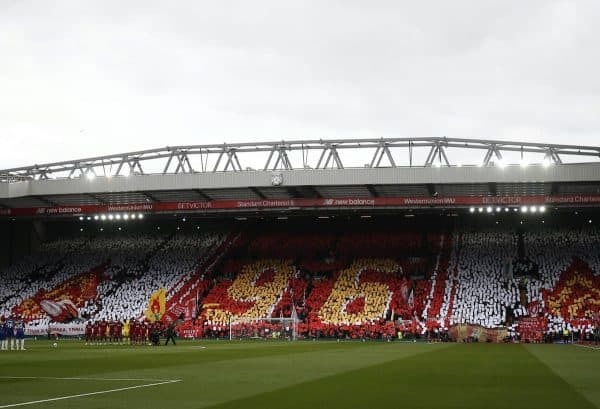 At Anfield twice over the weekend, Steven Scragg reflects on his memories of the Hillsborough disaster, and how Liverpool play such a big role for his family. Human nature is a strange, almost unquantifiable concept. While a gang of Chelsea followers sang racist songs in a bar in the Czech capital last week about Mohamed Salah, posting the footage on social media where it was liked and shared by far too many people, supporters of the same club came to Anfield yesterday and paid impeccable respect to the 96 souls we lost 30 years ago today, in Sheffield. Conversely, having managed to observe one minute of silence, most of those Chelsea supporters who came to Anfield later indulged in a chorus or two of ‘Always the Victim’. 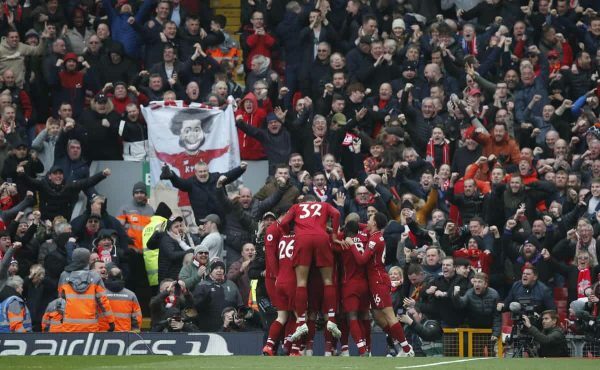 As they saw it, they were given their excuses to do so when a couple of red pyros were lobbed from the Anfield Road upper tier, into the away section below, after Sadio Mane had opening the scoring. 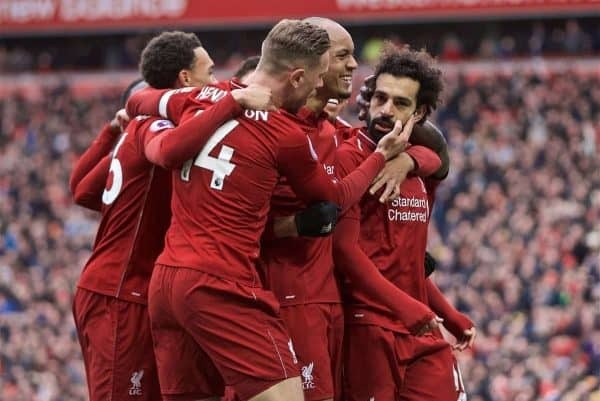 When Salah scored his stunning goal, the sense of karma was palpable. Cue wild celebrations and a round of V’s being directed at the away end. Human nature isn’t a black-and-white entity, it plays itself out in multicoloured motion. There are two polar extremes of tolerance to intolerance, offset by a variety of shades in between. Whichever extreme is our natural starting point, we will drift inwards a few shades from time to time. When Salah scored, I was giving V’s to the Chelsea supporters, after initially bouncing and tumbling around in celebration, embracing everyone within reaching distance. So was my 80-year-old dad, who was stood next to me. You’ve all seen those photos of Kenny Dalglish, Margaret Aspinall and Sami Hyypia? That was the way it felt. I like to think I’m a tolerant soul, but I edged along a shade or two by flicking V’s to the Chelsea supporters. It might sound like something and nothing, but opposing supporters usually make no impact on me at all. Maybe it was a little unresolved residue frustration from that game five years ago, as much as it was the stereotypical projection of the common or garden Chelsea supporter, singing their songs about Salah, Steven Gerrard and Hillsborough? As far as I’m concerned, it is their human right to be obnoxious, as much as it is my human right for it not to leave an imprint on me. I was at Anfield on Saturday, to help lay out the Hillsborough mosaic. If you haven’t done it before, then come and do it next time. It is a cathartic experience and there is a sense of purpose to it. There was a huge sense of pride and sadness seeing it in all its glory, prior to kickoff. I later found out someone else with connections to This Is Anfield was there on Saturday. It’s a small world. We had circulated one another for three hours, without realising, then departed the ground without the opportunity to introduce ourselves. It has been unusual that we’ve reached mid-April with something this big riding on the outcome of our league games. Balancing introspection and expectation, balancing pain with pleasure feels disorientating. It is incredulous that 30 years have passed. It was so sunny that day; it was so hot that day. It still feels so raw. Part of me forever remains lodged on April 15, 1989. It is where my usual state of tolerance comes from. It is where the sense of perspective I’m told I possess comes from. What does it really matter if Jordan Henderson is asked to play a holding role in midfield, leaving him to blend into the background, when far worse things have happened? However, Liverpool are everything. They provide indescribable highs and pained lows. I go to games with my dad, and they have increased in importance. He lost his wife in October; I lost my mum. At 80, I won’t have him around forever. It will mean the world to me if I can share another league title-winning Liverpool team with him, to go with all those ones we took for granted in the 1980s. If it isn’t to be, though, it has still been a joy sharing this wild ride with him, a joy money cannot buy. I wrote an article about Hillsborough year or so ago, for a now-defunct website called Row Z. The website was run by Harry Collins. Harry is a Man United supporter and he’s a rather fantastic person. Harry ran a ‘Liverpool Week’ on his website and asked me if I was willing to contribute a piece on the Hillsborough disaster. Nobody had ever asked me to write about Hillsborough before and I’d never broached the subject voluntarily either. I’d always kept the subject an internal matter, when it came to how it affected me personally. Just like laying the mosaics, it was another invaluable and cathartic experience. It brought a sense of peace. A United fan facilitated me feeling immeasurably more at ease with a dark cloud that has always lingered stubbornly. Human nature you see. It isn’t something that is based within which team you support, it is a state of mind that is ingrained on an individual-to-individual basis, regardless of tastes in football, music, food, drink, clothes or religion. Basically, we all either lean towards a natural propensity for tolerance, or intolerance. Up the Reds. 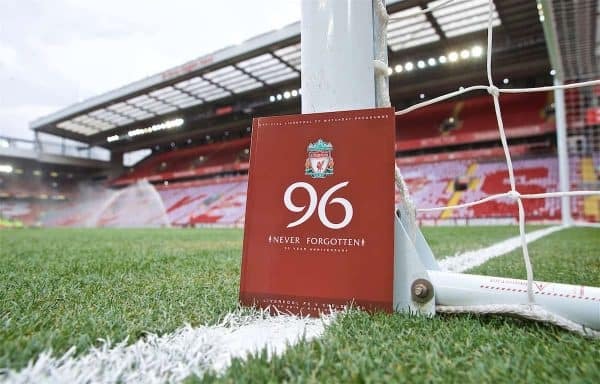 RIP the 96. Sleep well mum.